What a wonderful questionnaire, I can't say no more, to try not to have spoilers in the comment. "The important thing is not to stop questioning"
Thanks for your comment. I have published just your comment because you were careful not to reveal the answers in your comment and I had reject others which would kill the excitement of a tester taking the quiz. In my room, I have a poster of Einstein and a caption - Even Einstein asked questions. I was disappointed to see the caption that said, "even Einstein..." and I cut the "Even" and now it doesn't look odd at all. Wonderful! Learned many lessons from this quiz. I enjoyed a lot and learned many things as well. Thanks for the quiz Pradeep, it's ingenious. From time to time, I do need a wake-up call to keep reminding me how much more is there to learn. And this did just that. Don't be ashamed of your failures, they are the best teacher's you'll ever find. Thanks for giving me a teacher today. Thanks for the comment.This quiz was certainly inspired by a failure. It's simply brilliant & i must say that it's a great fun too. It would say it depends & much happeir when i have seen the scorecard. 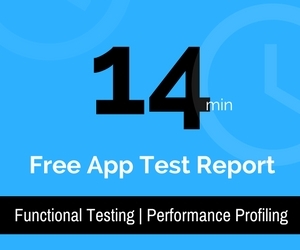 I would recommend all the passionate testers to take up the test & have fun. I am writing this reply comment after our conversation over phone. If this quiz got you excited then it is a great success for me. I would have failed to recognize it and thanks for that. This quiz is an eye-opener to all our fellow testers who think that testing should go by the books (some aspect of it). But as you rightly said that its not the case. For a tester most important is his 'Presence of Mind' and 'Thought Process' that he puts/applies during testing. Thats was a nice pice of information showcased in a good manner. It was really nice speaking to you over the phone. Happened to pass by your blog today and read some so called thought provoking posts. They make me think you are boof-headed person with practically no knowledge of Software Testing. Do you have any development experience or for that matter even written a small piece of code? (Being at a helm of a top organization here and having dealt with lots and lots of guys I bet you don't.) Whatever issues you point out and self-pat yourself in some of your previous posts are very trivial in nature for a normal developer. I advise you come out of your dreams and live within the practical world rather than writing abstract, lengthy posts and confusing budding software pros. If people like you who know software testing don't blog and spend time sharing your wonderful thought process about testing, people like me who are boof headed persons would obviously take advantage of it. So I pity that you have complained about yourself not blogging. Wow! You are a genius. I have developed some test tools but that failed to work and so you are right. Some people are blessed to get everything they want by just dreaming and I am one of them. In your practical world there are not many people who get what they want and hence I am happy living in the dream world. I am excited and welcome such a comment because most of comments try to appreciate and encourage me. I would have thought of asking you to coach me on what you think software testing is and I am willing to learn a new perspective but I fear you might not be interested to coach me because being at the helm of a top organization you are a coward to not disclose your details. And remember, self pat is necessary . Don't tickle me with a lie that you never did self pat in the journey of your so called help of a top organization. The final message is this: If you think you know then teach me, I want to learn! It is very good for me to be able to read blogs like yours that keep focus on the important part of our job - testing! I am glad that you liked the quiz and my blog. I think you did not fail the quiz. Please re-take the quiz to understand why you did not fail. I also wish that you pass this on to testers you know -- of course without giving them any clue about answers. I wish more people enjoy as you did! I liked the way you answered Mike. First, I am sorry. I tweaked your comment as I felt it contained a valuable point about the quiz. Here is my answer to it: I do understand the difference that you mentioned but it was intentional that I did the mistake. Maybe I missed to add another lesson at the end about the difference you mentioned. Thanks for constantly encouraging me. Your encouragement is one of the most important encouragements I have had to my betterment. You know we talk and will continue to talk a lot of different things over phone and why I have that is because I think I enjoy speaking and learning from you. just had a readthrough of some of your blog entries and finally to the software testing quiz. Some quite interesting questions. Hows 13/17 for someone who's only been working in the field for 3 months? First you are very lucky. 13/17 is an important lesson to learn early in the career. Those testers who take notes have a competitive edge over others and the question helps in stressing it. I am sure you scored very well. I'm Ahmed from Egypt, I'm still a young tester, I started working in testing couple of years ago, actually I started to look to testing another look when I started to read your blog. Concerning this exam it was very useful for me to have this new lesson learned. Thanks and waiting for other helpful posts. I am glad to have you as a reader of my blog. I wish, you too, write a blog and make the Egyptian testing community and the world proud and more knowledgeable. The testing experiences you might have in Egypt something that I and many other testers might be curious to hear and I wish we get to read it. what an idiotic quiz. whats the point? I approved your comment just to say, "ha ha ha". Either you haven't finished the quiz or you have a challenge learning or unlearning things. Very valuable quiz Pradeep. Really excited to read your views. You are 200% correct. I am sure that this quiz would motivate the testing community. We are proud of you. I am a human being and I am a heuristic. I could be wrong, too. I am sure that this quiz would motivate the testing community. We are proud of you. I am hopeful that this quiz would benefit the community and in case you have found it to be beneficial, kindly do pass it on to the community you live in as to make our community better. I thank you for being proud about me and my effort is to make all of us proud of each other. Join the fight and spread the message. It is really really grt to take up the Most challenging software testing quiz. I 100% agree with ur statement "It is the human that finds bug and a test or a tool plays a role in helping the human find it"
At the end of the results sheet Scroller wheel of the mouse doesn't work...is it bug??? Thanks Pradeep for all the effort in making the Testers to learn what real testing is. Wish you happy and prosperous Testing year. Expecting more n more such gud articles in ur bolg. I am happy that you enjoyed the quiz. Do help other testers to take it without revealing the secret to crack the quiz. It might be but I am not sure if it is a problem because I am able to scroll down by hitting my pointer on the vertical scroll bar. Well, in my opinion there are similar stuff that engages a testers mind and I wish you go through it in detail. it was a great quiz and i was both happy as well as disppointed after seeing the score. it reminds me that a lot is still to be achieved. Its safe here and hence its OK to score the points that you did. You might want to help other testers also feel the same as you felt and of course without revealing the secrets. Nice to take your test. oopsss i got zero marks... i thought you are gaining more and more from the answer of each and everyone. i like that attitude and am glad to find your page. Thanks and I am sure you did not score zero marks but found something that might be of help to you. You might want to help more people gain something that I think you gained. That's the best wake up call i ever got..! thank you pradeep.. failure is the stepping stone to success.. :) thanks for the quiz.. Thanks but I think from what I could see you did not fail but you passed in flying colors. If you help more people take this quiz, you would further be able to pass this quiz in much more flying colors. I scored zero marks in testing. But i am happy and satisfied that I had a chance to learn the most and inspiring lessons from you. If you think there exists some lessons important for testers, I would suggest you to pass this on to as many people you know. Sorry for Testing the quiz !! When i move the scroll bar, the content gets disappeared. Am using Mozilla/5.0; Linux i686; Firefox/2.0.0.7 version. I came across similar to this problem (bug) few months back while testing another web application. I have no issues when clicking on the buttons in scroll pane. I just finally wanted to conclude : I have found a bug - tested only once - from a quiz designed by you !! Thanks a lot Pradeep for your valuable "idea" (Ur points or ideas may be more but i realized only a single idea that "We humans .. find bugs .."
I have added a bookmark and this is the second one related to Testing - first one was Shriniks !! Am sorry Shrini - i have ranked Pradeep's as first and u r my Second !! Hope i will achieve the best from hereon !! The bug isn't in what I did, maybe. I used a software that could potentially have more bugs than what you found. Maybe you could try with a different browser or maybe the product isn't designed for the configuration you have. Thanks. I created the quiz with an intent to help testers and myself discover and invent stuff in testing. You may want to pass on the quiz to a lot of other testers to help them, just like how I think I helped you. I got failed and so happy to learn some thing about that. You might want to share the happiness with other testers ( without revealing the secret ) and let them figure it out. Failure is a wonderful learning and I enjoy it, too. I was congratulated even I got zero points, Though am a Mainframe developer, I could atleast attaned your quiz, The reason for this confidence is, I have some theoritical knowledge of Software testing, But today I came to know that I shudn't assumed simply that I have enough knowledge in testing to attend the quiz and need to prepare more. Anyway such a nice quiz and blogspot for the testing. I wish u to keep on goin'. And I want to appreciate for one more thing is your prompt response, for each and every congratulations and comments, you are spending time. Thanks Pradeep. If you are able to learn despite you got a zero, you deserve a congratulation. nyway such a nice quiz and blogspot for the testing. I wish u to keep on goin'. And I want to appreciate for one more thing is your prompt response, for each and every congratulations and comments, you are spending time. Thanks Pradeep. If you want me to keep going, there are ways. One of them is sending the link to people in your list who would enjoy, appreciate or learn the stuff I am pumping here apart from keeping a regular check and commenting. Yes Pradeep,I forwarded this blog to 2 of my friends before attempting this quiz. But now I would like to forward this blog to all who are in my company's testing team. Am so glad to do this. But definitely one day I'll get the min. points of this blog, As am a developer:) Thanks Pradeep. If you test your code and do that better each time, you will spend less time test fixing bugs. You might already be doing it and you might want to do it better, each time you do. p.s. "learnt" is a valid word (past participle of learn) in dictionary but is highlighted as a grammatical mistake in the comment dialog box... a bug? or limited vocabulary? maybe a feature!! What more can I ask for? I took about 10 days to think, work and re-work on this quiz and it's paying off. That was a good learning for me. I started to use "learned" instead of "learnt" and yes, I get "learnt" in red whenever I write it. I know, I didn't score a zero. Keep coming and keep your friends coming here, selfishly to help me be happy about my efforts to help the community. I am resourceful. What if I am struggling to solve a problem and someone adds a comment that is a clue to me to solve it? Clues can be from anywhere. I have learnt to juggle and at times I don't want to juggle. You hit the comment around a time I am online, so it's there. I took half an hour to reply to as I took a break from the testing activity that I am doing. Breaks in between testing is important, to gather and re-assess the ideas. Its fun. Unless you let me know what error you get I might not be able to help you with that. You could e-mail me on this. The page is not redirecting to the quiz when i clicked the link "The Most Challenging Software Testing Quiz" .please make it available. If you are my student, you would figure out how to open it. I wouldn't say that its a wonderfull queationare, as many have already done that. These pages are Question No 15, 17 and the final result page. Is it a bug/defect with the quiz or with the software that helped in creating the quiz? If its the software ( which I suspect it is ) it is out of my control. Thanks for the information. I hope there was something to learn either from the quiz or from the reply to your comment. I value the time you took to send me the information. I am a customer for the quiz (I know I didn't paid you for that) and it is really immaterial for me to know wheather it is a quiz defect or the software defect with help of which you prepared the quiz. Anyway, it was interesting. May be you can forward this to the maker of the software to help them make better software. You are my customer for sure. You are my customer of things I am helping testers to learn. If you have learned and yet you faced some issue with which you could get out with, I am happy and I know I would get continued business from you. As you found the bug, you might want to share it with them because you know more about the context than me. I don't have the OS and configuration you are running and if I trust you and report to them then I am not being a tester there but just someone who forwards some information without investigating it. I don't have the time to investigate on that issue because I have other things to investigate for which I am currently being paid. However, it might be a good idea for you to report to them as you can see the software name in that presentation, probably. What are the type of testcases that can be good candidate for automation? First of all I appreciate you for coming up with such a SMART & CREATIVE Quiz. This Quiz lays the Basic Foundation to generate Excellent Testers with a Broadminded Perspective. And I'm really impressed by your Testing Concepts and Perspectives. "I am a human being and I am a heuristic. I could be wrong, too." This shows how Broadminded you are. However it has played an important role in broadening my testing perspectives as well. Today I am so glad that I could take up your quiz and Failed! It proved what I used to think of myself. I need to learn more! Failure makes you to start again more intelligently! It’s another chance for me to apply this; Thanks for your ideas and liked your positive Approach too. I don’t think anyone who takes up this test would feel bad of failing! Feeling proud and happy about your invaluable contribution! Did anyone pass this test? Those who learned something useful from the quiz seemed to have passed the quiz. I can only say that your quiz is quite disappointing. You are only trying to demotivate testers by writing such stupid quiz which have no real relevance to testing. Infact, I would like to congratulate testers who haven't taken up this quiz. One suggestion from my side, instead of wasting your time on such quizes, you should spend some time in writing quality blogs, if you are a really good tester. I will pass on your congratulations to all those testers who haven't taken up the quiz yet. Thanks for your suggestion. As I realize I am not a good tester, I dont think I might be able to write quality blogs. How about you writing quality blogs that can benefit the community? I have taken the test and on page 15 or Question 15, I was doing a match pair selection from drop down; I used a scroll bar and then the content of Question 15 was gone. It shows all blank page and I can navigate to 14 & 16 question. I am happy that I can contribute to your blog by improving quality. Thanks for the test, It was really nice experience. Though the end result for my assessment is Failed. Would surely like to contribute some of the scenarios which I have came across as a QA person. So here goes a challenge: Create a quiz that is engaging and educative in testing and share it to the world. Can you explain why you thought it was worst? If you could and we could discuss about it, I may find your comment useful. Else it is as good as you think my quiz is. Wonderful !! Had a thinking session during and after the quiz. Eye opener for a beginner like me. Want to learn lot more. Hope you'll post something for beginner's. Wonderful quiz....but i failed...:)i m disappointed...but yes,,learnt a lot..thank u so much.. Thanks for reminding us to "THINK out of box"
Liked the test,says scored zero,couldn't able to read the feed back,I have not answered some questions...I think its a feature I can skip the answerr..anyway I am not great @ testing .Couldn't able to read the result feedback. I think its a feature I can skip the answerr..anyway I am not great @ testing .Couldn't able to read the result feedback. There might be some problem with the software you used to open the quiz. You may want to try out from a different computer or so and have a look at the feedback. It is very important. I found that the quiz is informative. But I was have come an issue... for questions where there are lot of options and have a vertical scroll bar, if I hold my mouse pointer on the scroll bar, the complete information disappears.. The quiz that u have posted doesn't make any sense. secondly test ur posts atleast moderately. -- Stop saying In india, testers are like this and there is no difference with respect to testers in india. There might be the same difference which exists for dev, architects etc..
-- You writing seriously tells me that you wanted to convey that you can explain any thing in subjective way about testing. But It is always acceptable to tell some thing great about you is good but telling something -ve about others to project your self will not be going to help you. ok man but I should appreciate the efforts that you are making in what ever that you believe in. This post is only for you and not to made available for everyone. I know you might be angry that I put your comment out although you said you wanted to make this private. If you really wanted it private, you could have sent an email to me not post it as a comment on my blog. There is one thing I don't understand, why don't people who write such comments make their profile public? Why hide? I happened to pass by with the links given by one of my friend with me being new to the industry with just a year and 6 months. I started adoring your blogs, not just because of it is about testing but it is something more , which "crook narrow minded brains" can't understand. If we are a fool to the Outside world, no Issues , as we know A fool may be a fool for the outside world, but to other fools we are an intelligent fools. About the Quiz : Am proud to say that i got zero marks and failed .. not because that you are praising the above commented people but because am a fool and i don't care about the other people comments , as after all it is my life and career and am the one who has to be more concerned than others at the helm. No matter if you are climbing the stairs and also fall, or if the stairs are broken and still u climb and fall ,, one thing is for sure when you try the next time, Either you will climb higher with more confidence and determination or there will not be a single stairs as all would break and fall .. I was drooling at the bumper prize and was eager to finish off the quiz soon ;-) So I couldn't realize that I had to think beyond every available answer for all questions. So ended up forcing myself to pick one answer from existing answers .. lol ;-) But the Result/Feedback screen was unexpected;-) The moment I saw zero score, even before seeing the lessons below it I realized why I didn't go outside the available answers ;-) It was worth coming across the lessons of this quiz once to remind myself what I was forgetting these days !! I am glad you liked it. Hope you help testers around you do better with what you have learnt. The application has lot of bugs. The questions given with scrolling option vanished after scrolling. Also calculation of marks are wrong. It was an excellent quiz but I was disappointed seeing my score :( though I learnt some valuable lessons. Thanks.. Wanted to share one thing 15th ques vanished when I atttempted to go back and check my options...Is this a bug?? Today I read your blog for the first time with one video (about testers interview, myths...) & it was awesome. I could see myself in some of the examples your discussed there. Also just now I came across your online quiz post. Before starting my quiz session, can you update how many questions are there & is there any time limit ? This will help me to decide if I can take quiz now or at some other time based on my schedule. Problem:-After Question 14, the scrolling is not working fine. if you scroll question to the bottom, the question disappears. it happens in all the question afterwards.